This book explores and demonstrates the transformative learning experiences that organizations and their leaders can derive from the arts. It is through the arts that we have always explored our humanity: through dance and music; art and sculpture; theatre and poetry. The arts allow us to explore our own selves and our relationship to others and to the world around us. This central role of the arts is commonly accepted in everyday life, but the implications of this are not typically extended to the world of business.The authors argues strongly that, to the contrary, the methodologies and approaches that are fundamental to performing artists of all kinds can provide exactly the kind of inspirational, people-centred and performance-related techniques that are missing from much of the typically mechanistic, systems-based and process-driven training and development of managers and executives. Technical proficiency and expertise are not enough to deliver an award-winning result; what enables a truly outstanding performance is the elusive but entirely recognizable element of artistry – the spark that transforms a technically good performance into something extraordinary. Original lessons from the arts world for becoming a more effective manager and leader in business. 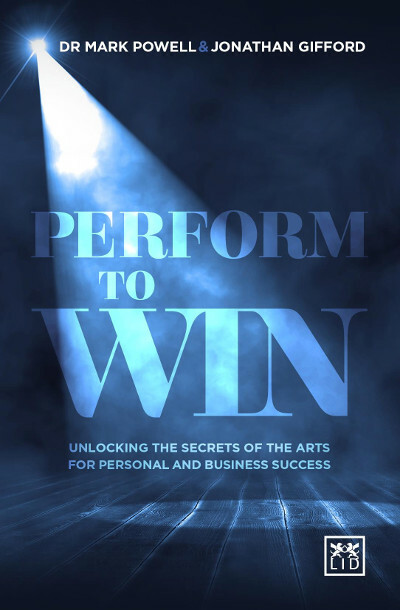 ● Unique book that delves into the world of arts for new perspectives on management. ● Authors are respected business consultants and coaches who use alternative sources in their training. ● Aimed at any manager or executive looking to turn the ordinary into something extraordinary. ● Major PR campaign planned – business and HR media and online marketing. Mark Powell is a Partner at leading management consultancy firm AT Kearney and Jonathan Gifford is a business coach and writer. They specialize in management development. The importance of workplace design on productivity and health is as strong as ever. Great spaces encourage improved employee satisfaction, engagement and morale. BDG isa team of architects, designers and creative thinkers, who believe that architecture is most successful when it is able to connect people and spaces, and create a positive work environment. This book is a collection of short stories surrounding the design and construction of 22 different BDG projects from all over Europe. This book is built around the idea that PR as a communications discipline has no boundaries. It is the PR professional's manual for creating that specific type of mindset and building the necessary skills to meet today's communications challenges, which include mastery of the fundamentals, cultivating unbridled curiosity and creativity, the art of listening, and never losing sight of business objectives. This book will be highly marketable to PR students and novices looking to break into the industry, and to junior and mid-level PR practitioners interested in learning new skills which they can use to gain a creative edge on thier competition.